My wife reckons I’m entering my second childhood. Secretly I know I never left the first. Life has been one endless playtime. Maybe I’ve just been lucky. I’ve been paid to travel the world and work in many different places and countries. Until I got married (at over 40 years old) I’d never stayed in one place for more than 2 years since I was 17. I belong to the Australian XS650 Club. When you join you are given a club t-shirt and a small sew on patch. If you’re caught on a club outing or as a club representative without one of these you have the choice, beers all round or the naked dash. 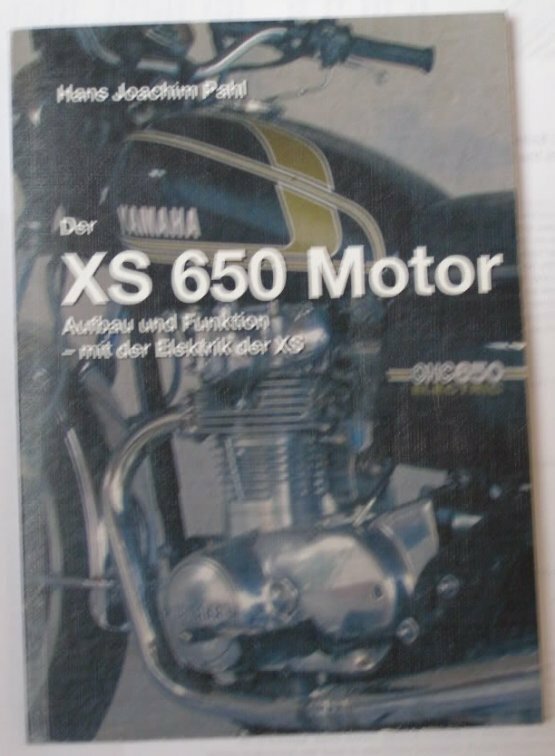 To cut a short story long, I went to the 40th birthday celebration of our beloved XS650 a couple of years ago. Of course, I wore my t-shirt and made the effort of sewing the patch onto one of my vests. I had found one of these on ebay too. So it got sewn on as well. At the event I was kindly given one of these from the Wuppertal/Ruhr Stammtisch, the event organisers. Since then I have gathered several others. And from Lowbrow Customs these 2. Lowbrow Customs ca 85mm wide…I contacted them asking if they would make a matching patch from the lhs…a definite NO! And of course this take-off. And this oldie from way back. I have some other XS650 related patches somewhere. No photo yet. Also some other generic Yamaha patches etc that I have sewn onto my vest as well. This project isn’t finished yet. As you can probably see. Funny thing is, since I started sewing these things on after the XS650 40th Birthday Bash I’ve never worn it. My son does. Under my protest. If anyone is interested the vest is from Carhartt. US brand work clothing I was using in the Yukon. Pretty warm. If you know of any other patches let me know. Or send me one. A fine photo-essay. Rebuilt Vesco Streamliner. From The Motorcyclist Cafe. Hattip Jason. The streamliner was campaigned only one season. Crashed in 1970 at over 175 mph. A short wheelbase + no stabilizing fin = insability. Vesco said something about incorrect tyre selection. Apparently Rick and brother Don had Yamaha dealerships. May have been indirect factory support. Kent Riches from Airtech bought the derelict streamliner for $1,500 from Bonneville veteran Ron Secor in 2001. ‘Rick Vesco still had the engines. Don Vesco had the plates. One blower was missing, but was acquired from a man who had bought it from Vesco in 1974’. Kent made new body panels and restored the machine to better-than-new condition. Prepared for display, not racing. He’s also involved in e-drag. December 2010, collector John Parham displayed the vintage liner at the National Motorcycle Museum. Riches-Nelson Racing and Southern Utah University (SUU) teaming up to create a 300 mph electric motorcycle. Lightning Motorcycles. 206.079 mph. Bonneville Salt Flats. Utah. Sunday, August 14. 2011. Smashed the previous Riches/Nelson E-bike LSR (176.434 mph on the Airtech Lightning Bolt streamliner) . Heavily faired. Traditional sit-on design. Previous best, 173.388 mph (2010 BUB Motorcycle Speed Trials). Don Vesco. Current custodian of the ‘Wheel Driven Labd Speed Record’ at 458.196 mph over 1 km … 470.444 mph over 1 mile. RIP. When I first started playing with these ladies I went out and bought myself a manual – Haynes. Made my eyes sore. Print far too fine. Badly printed on paper so absorbant, it spread. Cheap n nasty. I have others. Clymer, Chilton, Clinton, some in Dutch, some German. None particularly good. Many not even coming close. I like manuals – Basics aren’t a problem – Every machine has its idiosyncracies tho’. I know I do (and no manual). In truth I guess the best manual I’ve found isn’t accessible in english. Luckily I read German. HaJo Pahl on the XS650 motor: ‘Der XS650 Motor-Aufbau und Funktion’ . Explains the components as functioning entities. Details the weaknesses and wear points. I translated most of this book for myself, and even spoken to him about publishing an English version but he didnt see the advantage. Schade. Accessible online. In German. Reading only – great pictures. 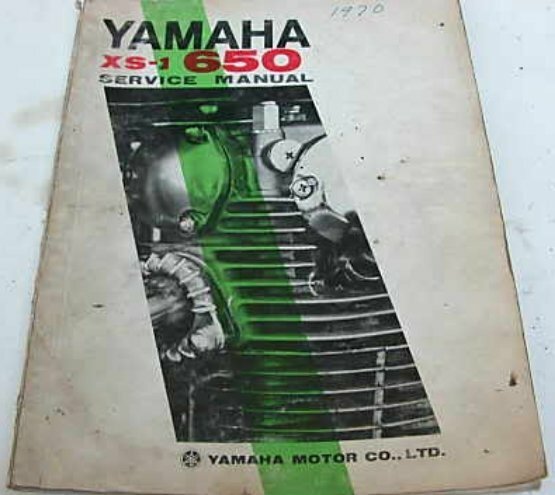 Over the years I’ve assembled a collection of original Yamaha Manuals, Supplementary Manuals and Information Booklets. Superior. Mostly great printing. Better quality pictures. Original US versions are for me better – in English – A4 format. European versions are in 3 languages. Lower quality reproduction. Smaller. No preference. I like the last. XS650SJ-SK. Or go here to Yamaha. You can order the original manuals new. How’s that? 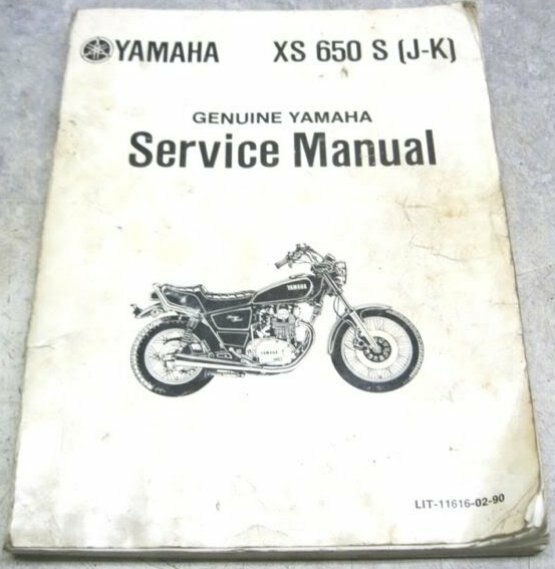 You may ask ‘Why an XS650 ?’, I did once. In 1974. I was working a holiday job at W H Bond, tinmakers. The young journeyman toolmaker had a new Yamaha TX650, his pride and joy. He was busy fabricating parts for her, customising, making her his. Putting his soul into the job. And doing a tasty job. I was driving a Morris 1000 and coming to grips with my Suzuki RL250 trials bike. This is an interesting riding style-time, balance, body-bike coordination and an eye for a route-great skills building. Having grown up with british bikes the jap-crap metal coming out of the rising sun was definitely a paradigm change. First bike was dragged out of the old barn when I was 13, an ES2 Norton 500 single. It had belonged to a family member who hadn’t returned from Europe in 1945. He was one of the few men of that generation the family had left, the ‘Great War’ had wrecked a heavy toll on the family manhood and left many woman unable to find husbands. Against family will he went and afterwards the pain was so great no-one talked about it until I discovered the dreams of my teenage fantasies hidden under layers of accumulated farmyard crap. Had I known the depth of memories this would stir-up I would still have done it. I scored it on the condition I restored it AND didn’t ride her until I got my drivers license. Yeah, right. I developed a taste for large displacement british singles and parallel twins. My first attempts at trials riding were on Matchless 350’s. I have dabbled in 2 strokes, larger cruisers but my heart comes back to the ‘thumpers’. Although most of the brits I’ve owned over the years sit quietly in the shed alongside some of the more exotic Ducati’s, Guzzi’s etc I’ve picked up on the way, my daily rides are my XS650’s, an SR500 and an SRX600. I love these bikes with a passion shared only for 1 other machine, but that’s another story. It has been interesting watching the resurgence in interest in the XS650. She has proven herself to be a strong, reliable bike and this is being recognised in rising cult status, current customising trends and a wide availability of parts. These machines will be seen on our streets for many years to come. This Japanese Lady is most definitely not crap.